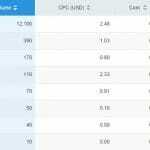 How to Use Google Keyword Planner Tool for Keyword Research – Have you ever thought despite of adding content why aren’t you getting ranks on search engine results? Well, Google does not have any personal feud with anyone. The reason just unnoticed by you yet. So take a break from your busy life and think where you are lacking. Here we will tell you to use Google keyword planner tool for keyword research. Google keyword planner tool is an excellent tool to make you achieve you goals and dreams. This will provide you the right keyword which will secure the highest ranks on famous search engines for your website. So if you really want to see your website grow in the right direction then start using it as soon as possible. Keyword research is the process of finding keywords that adds value to the content and also brings higher ranks for your blog or website. 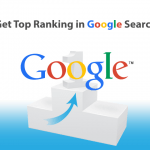 More will be the quality and density of your keyword, higher you will rank on the search engine results.It is really very essential to find the appropriate keywords and implement it smartly. 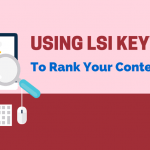 As we all are aware of the fact that keywords are very important in the SEO world, so do your research properly in order to get your website’s ranks improved. 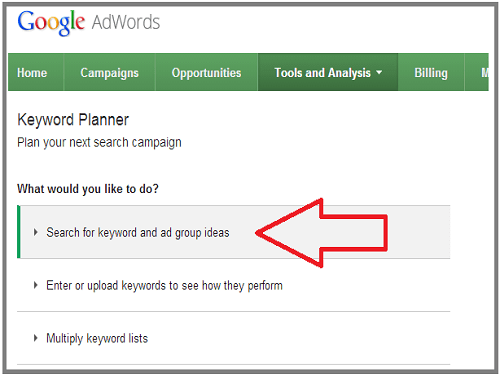 Why do you need Google Keyword Planner tool for Keyword research? Google keyword planner is a tool which is beneficial in finding the correct keywords for a website that has the ability to bring higher ranks. These keywords will give the website traffic that you require and eventually that will further add to your profit. Therefore, if you are still not using this amazing tool for your website then you should really start using right away. 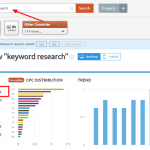 Are you now thinking how to use this tool for keyword research? If yes, then we are here to clear all your confusion and doubts. Below discussed are the crucial steps that you can follow to use Google keyword planner tool for keyword research. First of all enter all your products and services. Or we can say this is place where you will put your target keywords. Next important step is to select the search type. You will come across three options and they are broad, exact and phrase. You can choose any of the three whichever you think is suiting your type of website or content. Depending upon the target audience, set up everything including the target audience in the option advanced option and filters. Now, understand keyword tool column i.e. competition, global monthly search, local monthly search, approximately CPC. Now above mentioned were the steps on how to get started and how to setup the things on Google keyword planner. Once you are done with the setting up next big thing coming your way is the keyword research. Scroll down to know how you can do the keyword research properly. Discover the keywords using Google instant research. This is the initial step in finding the perfect keywords. Now do a keyword search analysis. 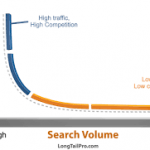 This will give you an idea of which keyword can benefit you and which cannot. Third step is to check the keyword result page. Then you will be loaded with some awesome keywords that will definitely bring you higher ranks. Above mentioned are the best steps that you can follow to make the most out of the Google keyword planner. If you will use it correctly it can benefit you in the most amazing way possible. So if you were not aware of it I am sure this have helped you to acknowledge it and implement in the SEO world.